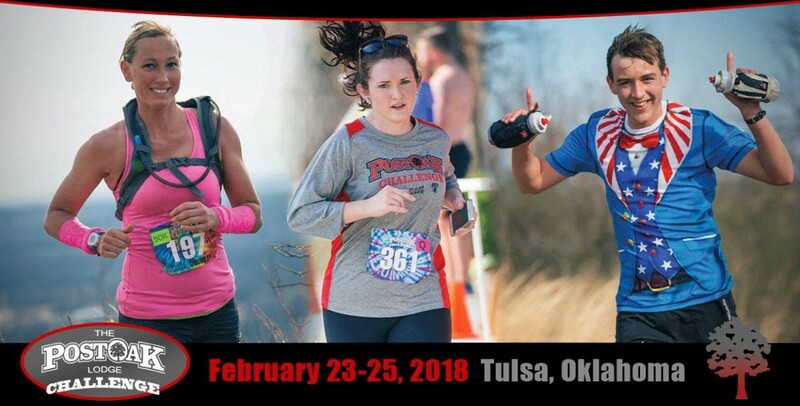 The Post Oak Lodge 50K, 25K, 10K Trail Challenge is not a walk in the park, these are trails in the woods and it is not for the faint at heart. This is the TRC Post Oak Lodge Challenge. The trails are a combination of less than a mile of existing gravel roads, old farm roads, a couple of chat trails, and miles and miles of single track trail winding through meadows and deep woods. As hard as we have tried there is no avoiding the hills of Osage County. It is a beautiful course with a little bit of everything. There are rocky areas, creek crossings, and a good chance of mud on the trail, but for the most part it is the hills that will give you the best workout. For this reason we have raised the difficulty rating to a seven (out of ten). If you plan to run this one fast then you need to train for hills, lots of hills.